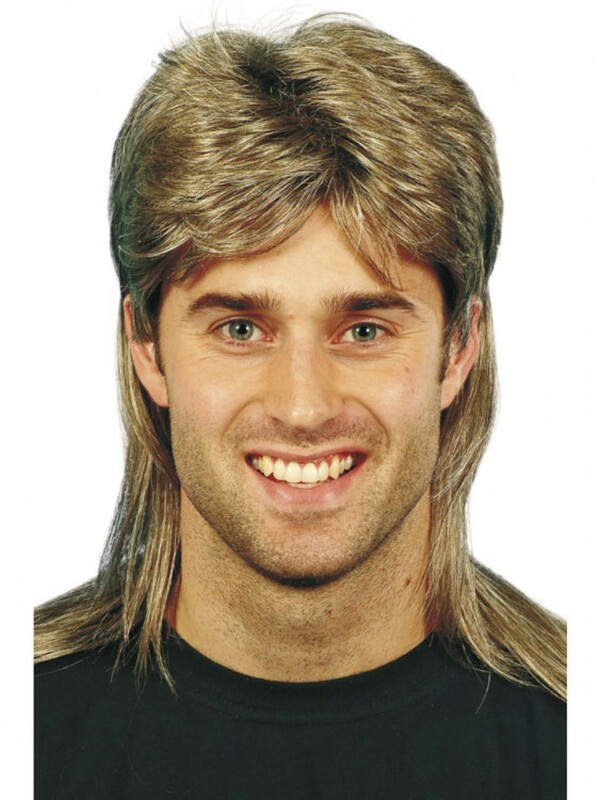 A blonde and brown mix Mullet Wig with a classic style which is ideal for 80s fancy dress or any fun occasion. This Mullet Wig is perfect to create an instant ‘back to the 80’s’ look and looks great with any 80s Costume! The wig has a blonde and brown mix with a shorter top section and long hair underneath to create the classic Mullet style! The wig is made by a leading Wig Maker, Smiffy’s, giving you quality assurance. The Mullet Wig is fixed to an internal hair net which has an elasticated band for easy wear. The perfect finishing touch for any 80s Costume.